Why dance around a list of compelling reasons to buy? The glowing accolades surrounding Toyota go on and on. We developed this campaign to amplify them, driving home Toyota’s strengths with a famous song and a direct appeal to shoppers’ buying triggers. 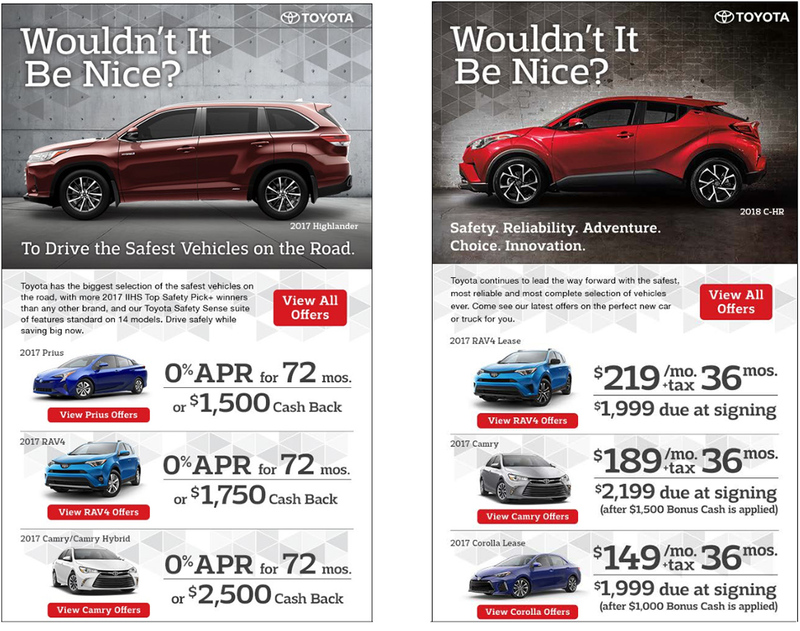 We initiate the sale and turn shoppers’ perception of “nice to haves” into “need to haves” by demonstrating the clear advantages of owning a Toyota.